Considered to be a part of the “Char Dham” pilgrimage and located in Puri, Odisha is a renowned temple called Jagannath. This temple is famous for its annual “Rath Yatra or chariot festival”. It is also known for its association to the “Vaishnava” tradition. Additionally, the 14th century Vaishnava poet saint Ramananda is also linked to this temple. Important travel information related to this temple is as follows. The ideal time to visit this temple being from October to March due to the pleasant climate which is reflected in the temperature during this period which ranges from a maximum of 18 degrees Celsius and minimum of 10 degrees Celsius. b. How to reach Jagannath Temple? 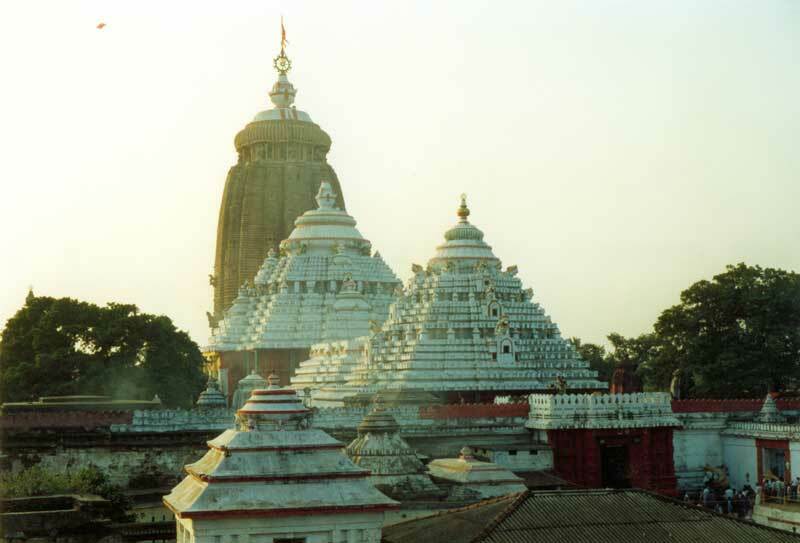 The closest station to this temple is the Puri Railway Station. This railway station is well connected to major cities in the country such as Delhi, Mumbai, Kolkata etc. There are a number of bus services that operate from Puri to major cities such as Kolkata, Raipur, Bhillai etc. The closest airport to this temple is the Puri Airport i.e. Biju Patnaik Airport. This airport is well connected to major cities such as New Delhi, Kolkata, Vishakhapatnam, Mumbai etc. According to recent archaeological findings the construction of this temple is supposed to have been initiated by Anantavarman Chodaganga, the king of Kalinga. According to a popular folklore found in the Puranas Lord Jagannath was originally worshipped as “Lord Neela Madhaba” by a king called Viswavasu. Another popular myth states that the original image of Lord Jagannath (an avatar of Lord Vishnu) was formed at the completion of Treta Yuga near a banyan tree in the form of a blue jewel and, this is what eventually led to the establishment of this temple.